The whole purpose of the Sniper Central Collection is to preserve, honor and display rifles and other sniper related equipment for all to enjoy. 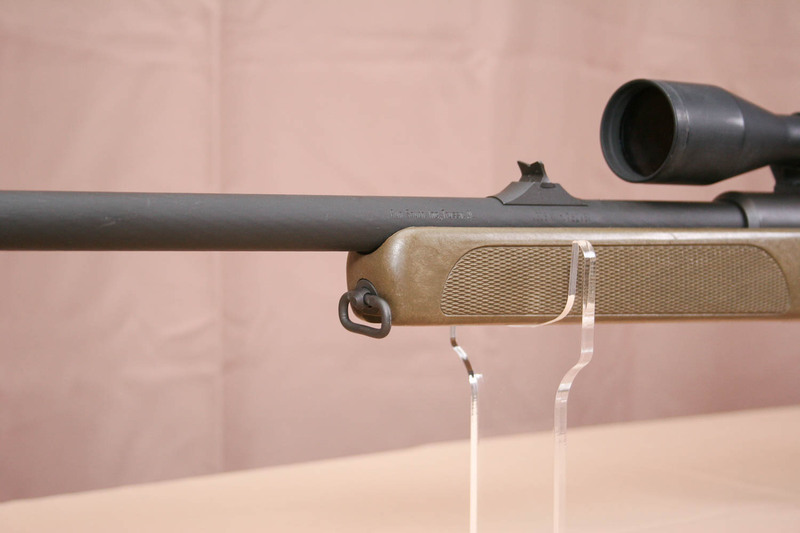 Steyr has a long history of sniper rifle development and manufacturing, not the least of which is the SSG-69. SSG-69 is short for Scharfschützengewehr 69, or in English, Sharp Shooter Rifle 69. 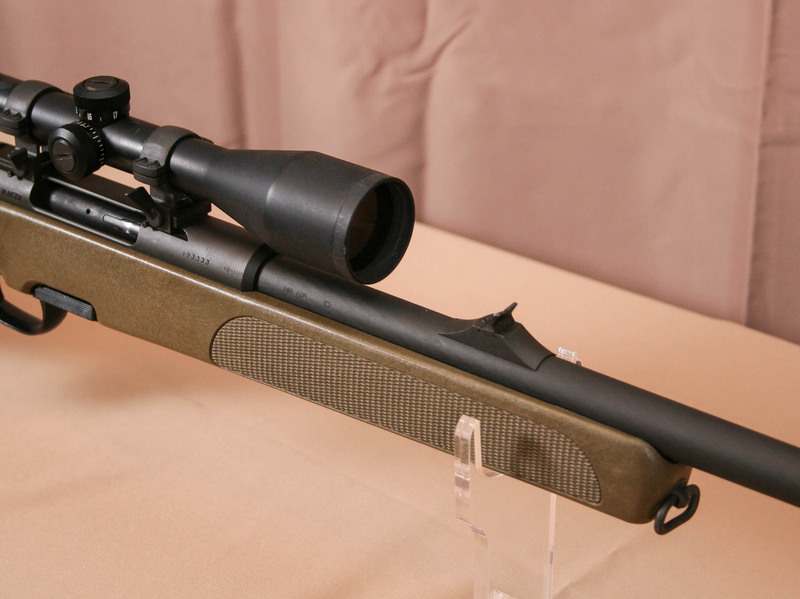 Meaning the sniper rifle developed, released and adopted by the Austrian military in 1969. 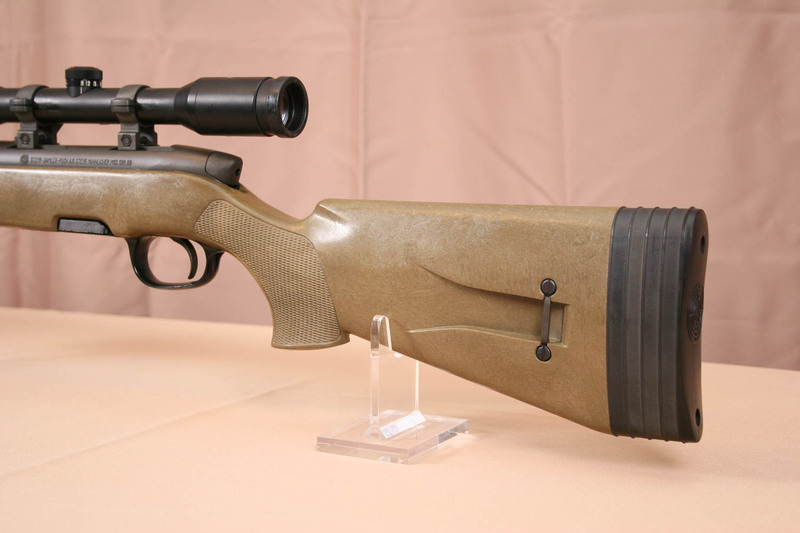 The SSG-69 pioneered the use of synthetic stocks on production sniper rifles with the use of a green fiberglass stock. As we know, synthetics do not swell or change shape with the changing humidity and temperatures that snipers find themselves operating in. This allowed for much more consistent performance in all weather conditions in all environments. 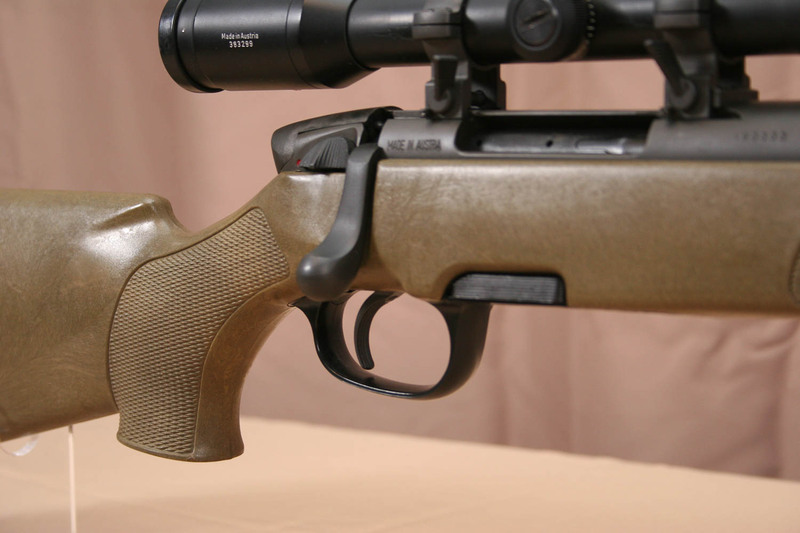 The use of this “plastic” stock on a sniper rifle was revolutionary at the time when the traditional walnut stock ruled the roost when it came to rifle building. The M-16 came out earlier in the decade and showed the way of the future with its synthetic furniture when it was introduced to the US Military, and much of the world. But it was the SSG-69 that showed its future potential on sniper rifles. 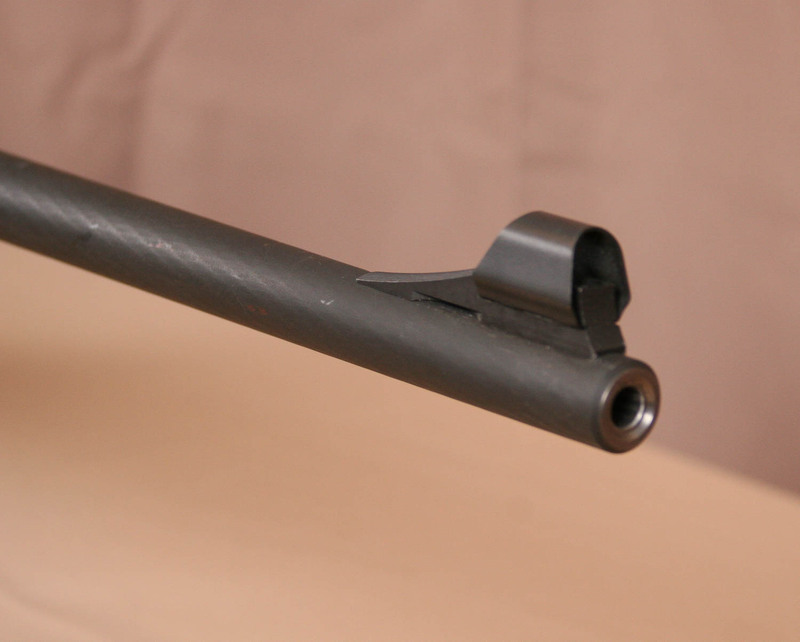 The SSG-69 also used a unique detachable box rotary magazine that held five rounds of 7.62x51mm NATO ammo and still fit flush in the fairly shallow stock used on the rifle. 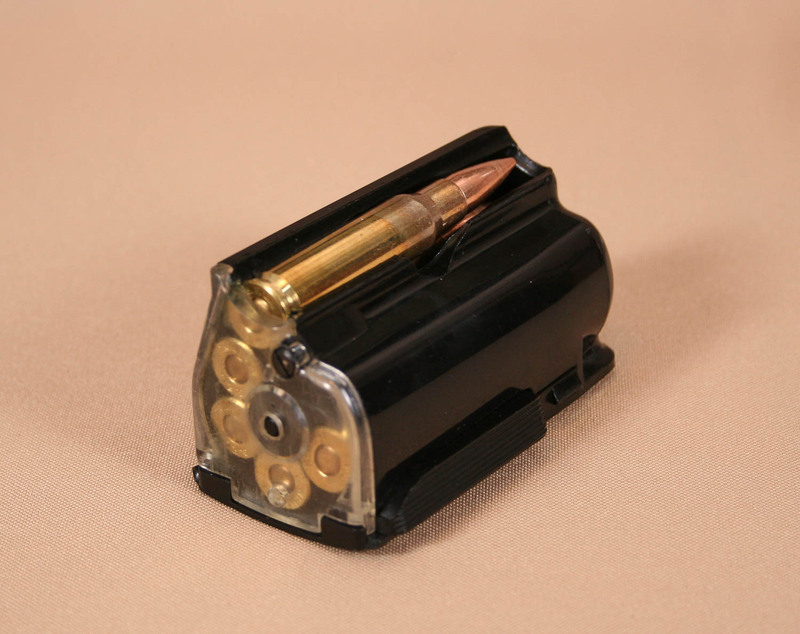 The magazine drops easily and snaps into place with precision, but the plastic magazines ended up being one of the short comings of the rifle as they broke often. The same can be said for the plastic trigger guards as well. The rifle also incorporated fixed iron sights that served as backup auxiliary sights in the event that the DOS (Day Optic Sight) ever failed. Speaking of DOS. 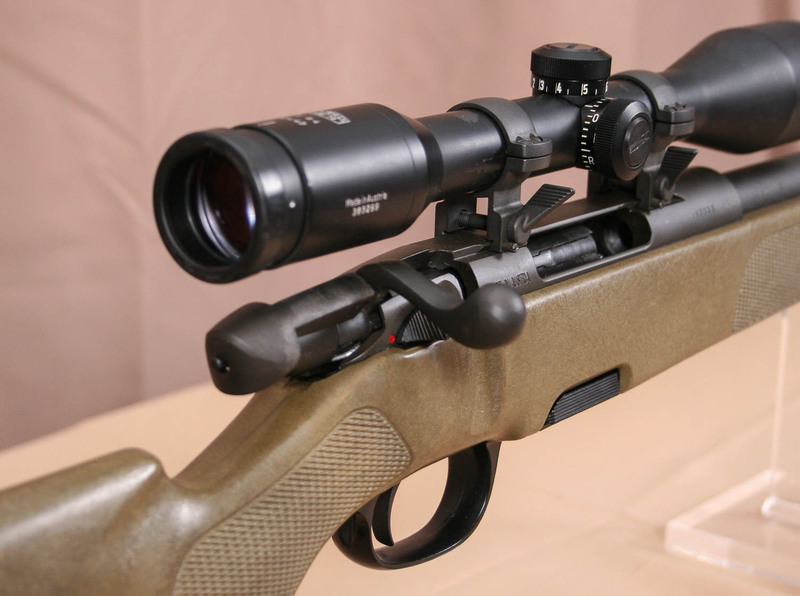 When developing the SSG-69, Steyr teamed up with fellow Austrian optics company Kahles provide the scope for the SSG-69 rifle system that ended up being adopted as the standard sniper rifle of the Austrian armed forces in 1969. 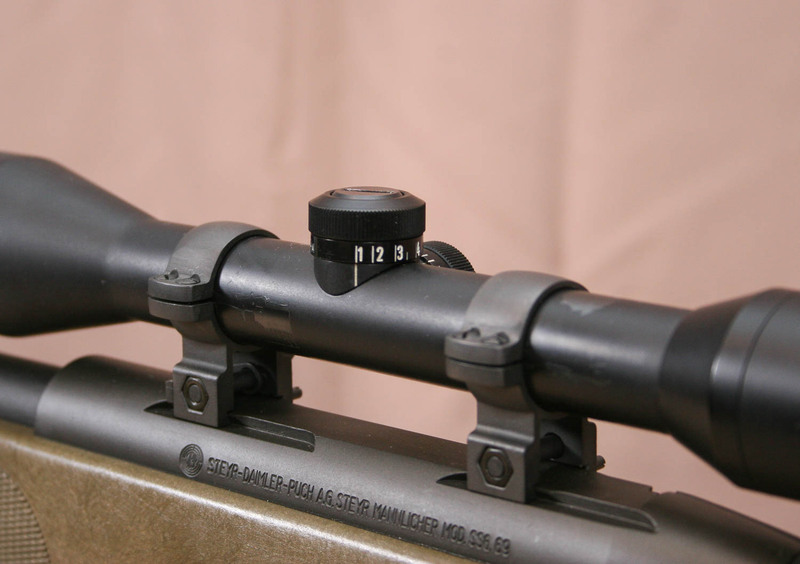 The scope chosen was known as the ZF69 and was a 6x42mm scope with Bullet Drop Compensating elevation dial to help the sniper when engaging distant targets. This rifle and scope combination proved to be very effective and the SSG-69 was known for its excellent accuracy and yet surprisingly portable size and weight. 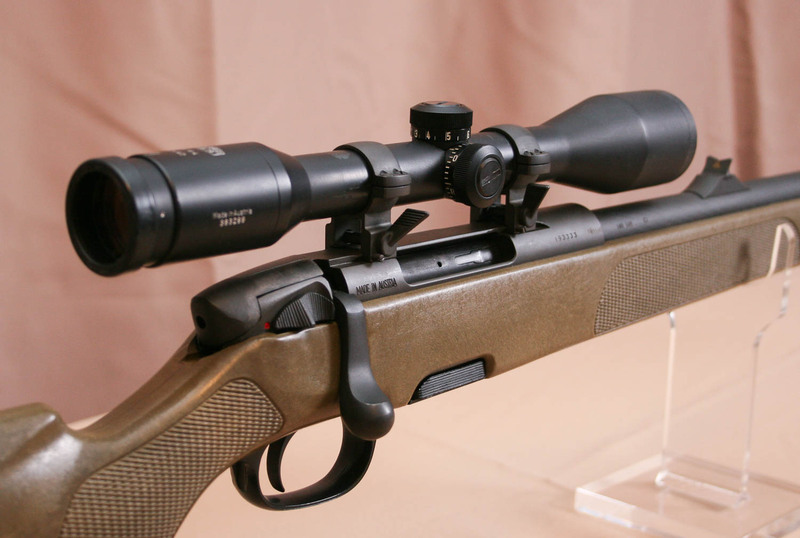 The Steyr made scope rings were a quick detachable design that clamped onto groves on the top of the receiver. The SSG-69 has an excellent reputation as a classic and very capable sniper rifle, even with its known weaknesses. It was adopted by a number of other countries around the world besides Austria and is still in use in several of those countries today. Later the Kahles ZF84 10x42mm scope became a popular combination on this rifle system which further enhanced its capabilities. 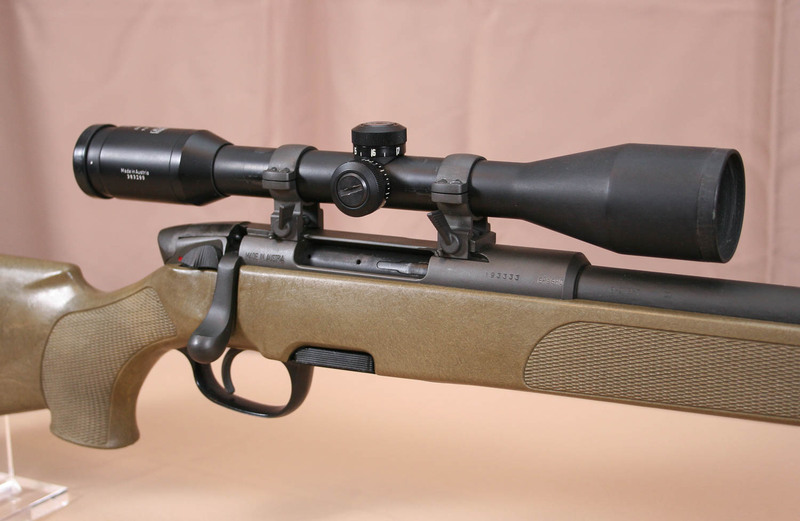 Steyr finally quit building the SSG-69 in 2015, and that is a shame as the rifle is still a very good performer. 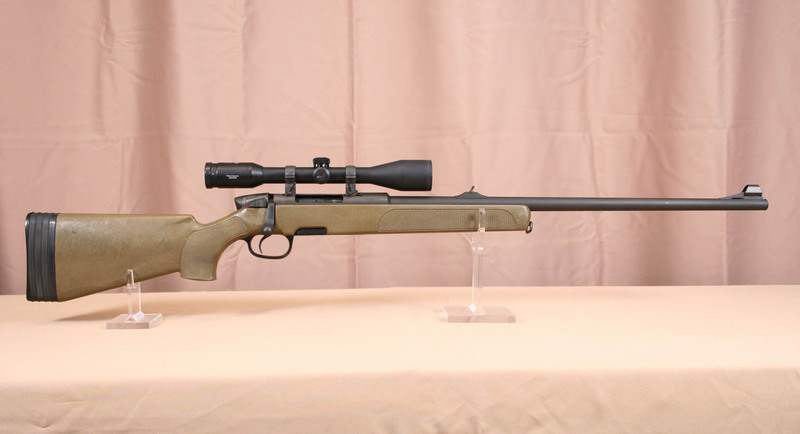 The SSG-69 you see here became a part of the Sniper Central Collection around 2010 and was the subject of a detailed evaluation and review, where it performed very well for a classic sniper rifle. It even averaged under .5 MOA with one of the ammo selections tested. This review was done before we started doing our 300 yard head shot comparison test, so we might take it back out and do that test at some point just for fun. 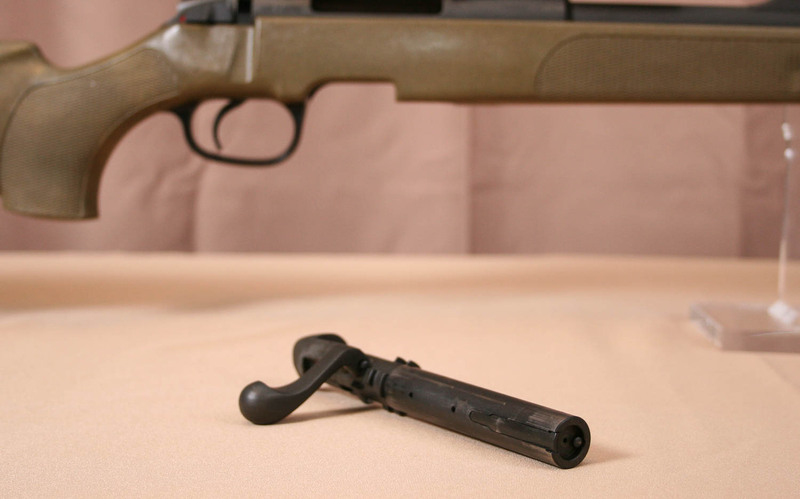 The SSG-69 was available with either a single two-stage trigger or with double-set triggers. 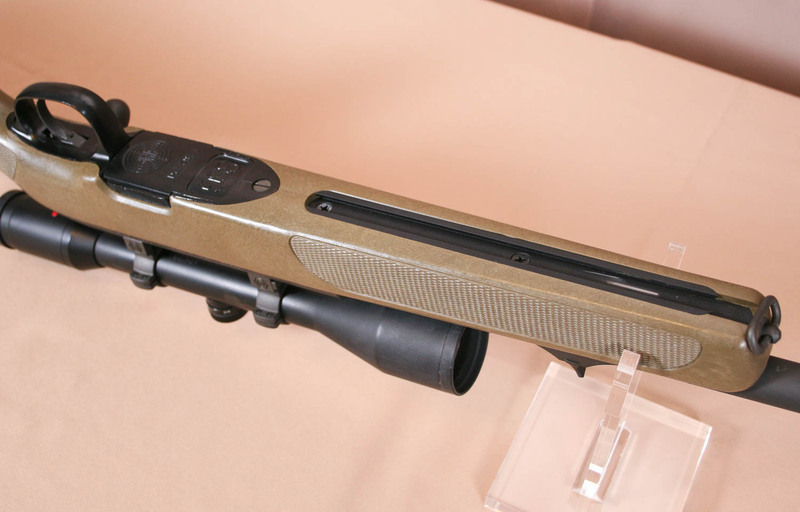 It took a while for us to find the right rifle with a single trigger and green stock, to add to the collection. It took even longer to find a Kahles ZF84 10x scope to pair with it to assemble a authentic Steyr SWS. 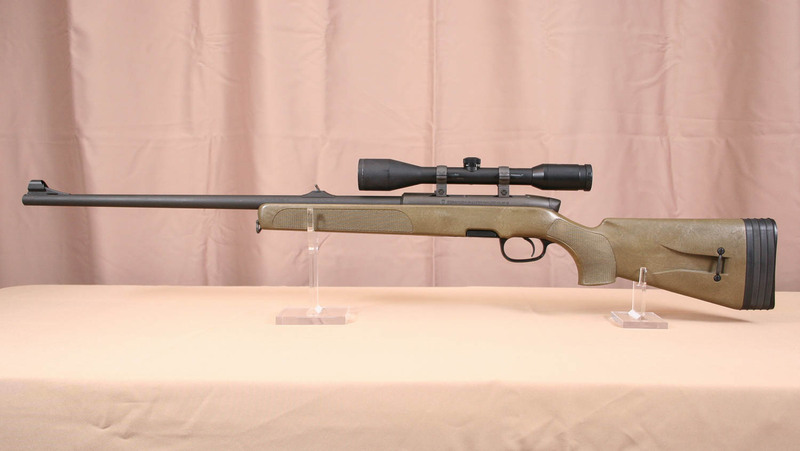 The combination is light and very accurate and frankly, makes a deadly sniper rifle for the traditional sniper role. The bolt rotation is only 60 degrees and it feeds extremely well from the magazine allowing for easy and rapid bolt manipulation. Yes, the magazine is a week point, but it is known. Accuracy is as good as most of today’s sniper rifles and it weights far less. The stock feels a bit “hollow” which might give an impression of weakness, but they hold up fairly well. Overall the rifle was a big leap forward in innovation in 1969 and we are thrilled to have this one with its matching ZF84 as a permanent part of our collection. Chuck Norris, used it to great effect as Lone Wolf Mc Quaid , in the opening sequence of the movie of the same name. I have one too !